5075 & 5086 C30-7 - 3,4/80 GE 42867, 42878 Ex-BNSF 5086 < nee BN 5075; 5075 is a parts donor. 5175 C30-7 -5/81 GE 43559 Ex-BNSF 5175 < nee-AT&SF 8132; in BNSF H1 scheme. 8804 GP38AC - 3/69 EMD3/69 Ex-GATX 3720 < nee B&O 3720; derated GP40 set up for remote control. 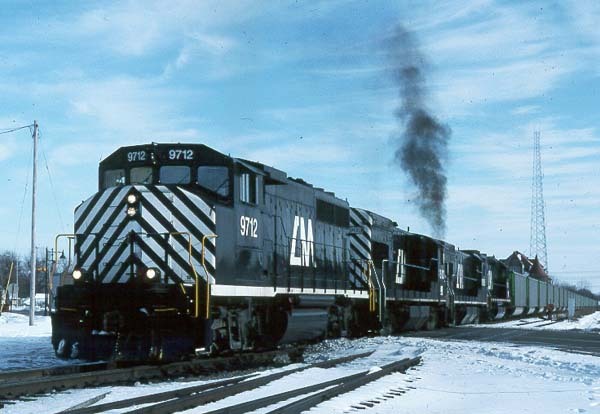 B30-7A's acquired from Connell Leasing for Consumers Power coal train service.